Are you ready for a life changing adventure? Volunteering overseas is an exciting and rewarding experience. For many people it is so fulfilling, that they return home with a new spring in their step and a new purpose in life. But how do you find a suitable organisation? What if you can’t speak the language? Get Yourself a Life Changing Adventure! This eBook will help you design and prepare the best volunteering adventure for you. With a planning guide, web resources and interviews with a variety of great volunteer organisations, you will be able to plan your own exciting adventure that is hugely rewarding for you and for the community you visit. 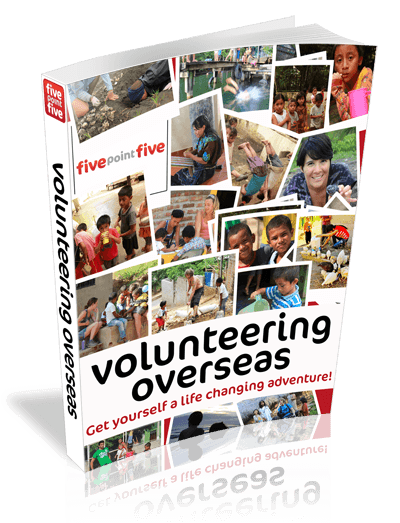 Get the “Volunteering Overseas” eBook.. Free! Simply subscribe in the side column and the eBook is yours.